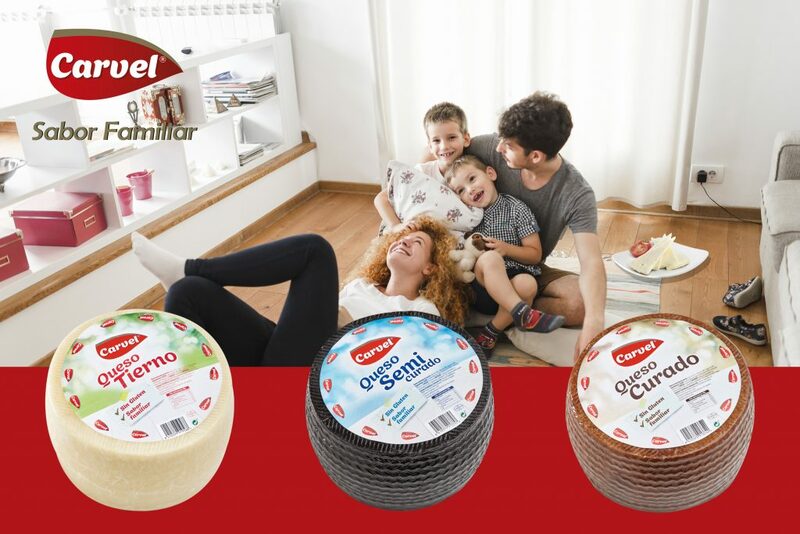 Reny Picot presents the new family of Carvel cheeses, a new and modern alternative to the traditional cheeses of always, with a familiar flavor that will please everyone and with the most convenient formats for each occasion. Combining classic and traditional recipes with avant-garde technology, Reny Picot has used its know-how in the production of cheeses to obtain aromatic, delicious and balanced cheeses, with a very current flavor, perfect for the whole family. In order to respond to the needs of all families at all times, Carvel cheeses are presented with a modern, original and appetizing design and in four practical formats: 250 g wedges, 250 g pre-cut wedges, 3 kg wheel and ½ wheel. There is a Carvel cheese for each palate. The new cheese family of Reny Picot has been created with a complete range with different ripenings, Young, Semi-Ripened and Ripened, to satisfy all types of consumers. 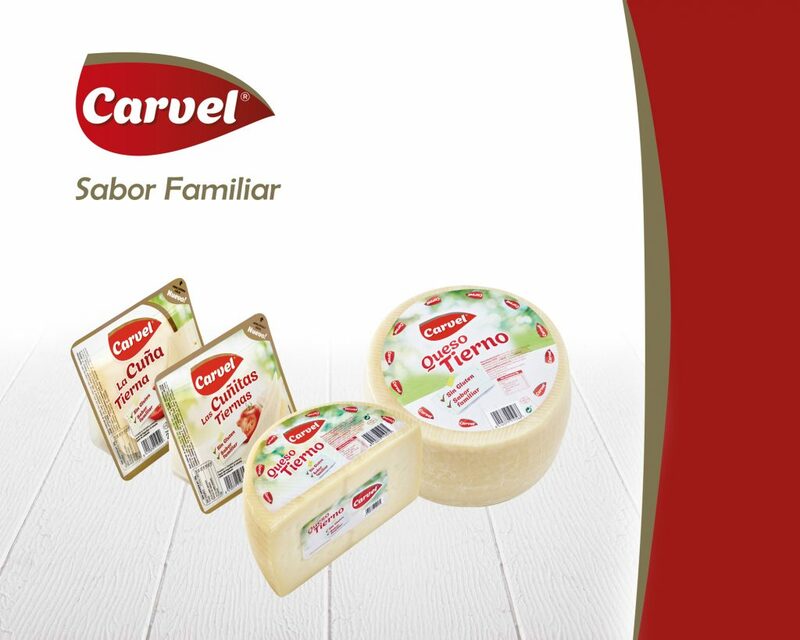 Made with cow, goat and sheep milk and with a ripening of 20 days, Carvel Tierno is the youngest cheese of the entire Carvel family. Its paste is white, as well as its rind drawn in the shape of a spike. Its flavor is soft, lactic and delicate and its texture soft and flexible. 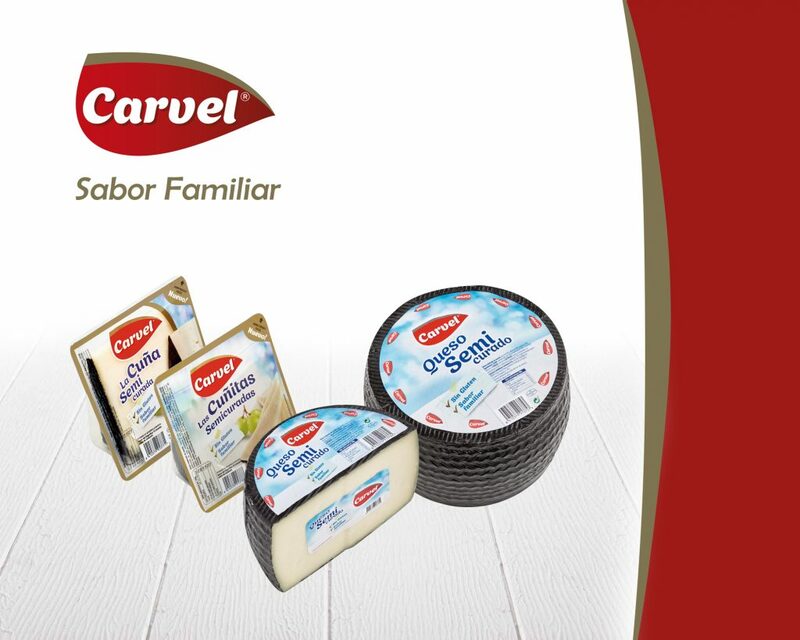 Made with cow, goat and sheep milk, Carvel Semicurado has a 45-day ripening. Its color is slightly yellow and its rind is black and is engraved in the shape of a belt. Its flavor is subtle but more intense and pronounced and its texture is soft, smooth and creamy. With a ripening of 4 months, Carvel Curado is characterized by its slightly yellow color and its brown rind. Its flavor is stronger, frank and penetrating, its smell intense and aromatic and its consistency slightly firmer and harder. The first Spanish multinational dairy company with branches in USA, Mexico, France, Portugal, China and Poland.